Choo choo! The iconic train is a classic vehicle, so there's no wonder there are so many fabulous books with trains at their center. From old classics like "The Little Engine That Could" and "The Caboose That Got Loose" to new classics like "Steam Train, Dream Train" on to some hidden gems like "Choo-Choo Colors" and "Alphabet Trains"... this list has them all. So "All Aboard!" You're about to be swept away on a host of train adventures. The Secret Subway is both very engaging and enjoyable. It entertains readers while also educating them about this fascinating piece of New York City subway history. The illustrations are unique and wonderfully match this tale of an inventor's ambitious undertaking. This book is really everything I needed in a board book. Its rhyming text flows well and is fun to read, and there are never too many words on a single page. It contains loads of things that are interesting to toddlers and easy to talk about, from trains and race cars to animals and toys. 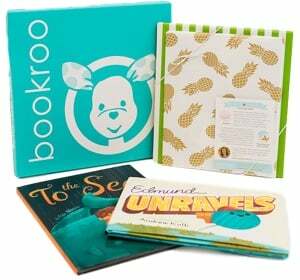 All of these elements combine to form a board book that is a great way to fill time while waiting in line, running errands, or keeping a little one quiet. The perfect book for any child that likes trains. :) Little elephant loves his trains but makes new friends who like planes, diggers, and cars. The illustrations are darling and colorful, and there are a lot of fun animals to point out in this book. Down at the train station everyone is busy. No one notices a little monkey--until he tries to help with the schedule board and messes up everyone's rides! Full color. A child's bedtime ritual follows the imaginary journey of the Goodnight Train's trip to the dreamland station. On board pages. All aboard! From the creator of the “stunning” (Booklist) Moonshot, a rich and detailed sensory exploration of America’s early railroads. It is the summer of 1869, and trains, crews, and family are traveling together, riding America’s brand-new transcontinental railroad. These pages come alive with the details of the trip and the sounds, speed, and strength of the mighty locomotives; the work that keeps them moving; and the thrill of travel from plains to mountain to ocean. Come hear the hiss of the steam, feel the heat of the engine, watch the landscape race by. Come ride the rails, come cross the young country! I really like How To Track a Truck (part of the same series,) so I was honestly a little disappointed with this one. It's still good, but not nearly as clever or punny as How To Track a Truck and the illustration of a little girl "cornering" a train looks a little bit too much like just standing in front of a train on the tracks for my comfort as a mother. A whimsical guide to training a "pet train" instructs young enthusiasts about important issues including where trains live, what they like to eat, and how to get them to perform the best train tricks. Byron Barton introduces young readers to the excitement of trains in this bold and colorful book. All aboard as the train journeys through a town, past workers repairing a rail and into the station. Red caboose at the back, orange tank car, green cattle car, purple box car, black tender and a black steam engine . . . freight train. In simple, powerful words and vibrant illustrations, Donald Crews evokes the rolling wheels of that childhood favorite: a train. This board book features sturdy pages and is just the right size for little hands. This Calecott Honor Book features bright colors and bold shapes. Even a child not lucky enough to have counted freight cars will feel he or she has watched a freight train passing after reading Freight Train. Donald Crews used childhood memories of trains seen during his travels to his grandparents' farm in the American South as the inspiration for this timeless favorite. Two little trains, one streamlined, the other old-fashioned, puff, puff, puff, and chug, chug, chug, on their way West. A collection of fourteen previously published stories featuring Thomas, Sir Topham Hat, and their railway friends. In a new board book edition of the delightful story, Engineer Small at the throttle takes the little train on its run from Tiny Town to the big city.